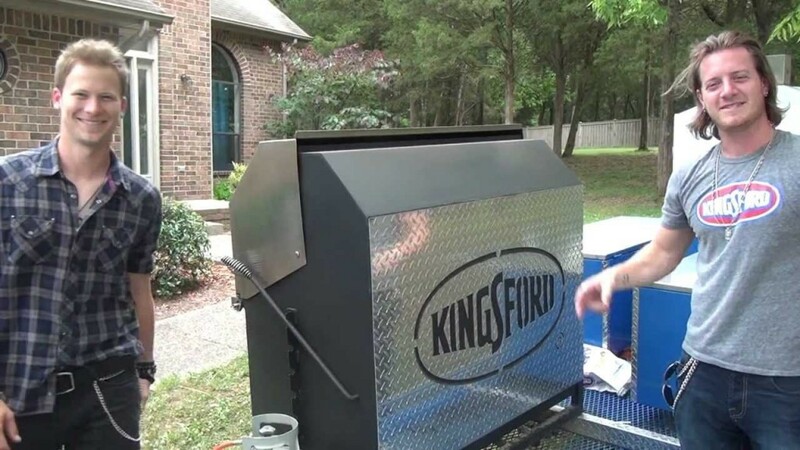 This summer, Grilling.com (http://www.grilling.com) catches up with up-and-coming country band Florida Georgia Line as they tour the country in their sweet crib on wheels as part of the Country Throwdown tour fired up by Kingsford charcoal. In addition to a party row, a closet and a hat rack, the group’s mobile crib sports one of the hottest looking grills in America custom built by Pitmaker. Made up of former Belmont University students Tyler Hubbard of Monroe, Georgia and Brian Kelley of Ormond Beach, Florida, Florida Georgia Line have been wowing packed crowds across the Southeast with their unique blend of their trademark harmonies and rocking sound. Like music, barbecue and grilling just naturally tend to bring people together and this tour was created in that same communal spirit. Throughout the tour, we will bring you exclusive behind-the-scenes webisodes as the band fires up the grill for some serious eats before and after each show. Stay tuned for more videos from the tour and be sure to visit http://www.grilling.com for more on the world of barbecue and grilling.